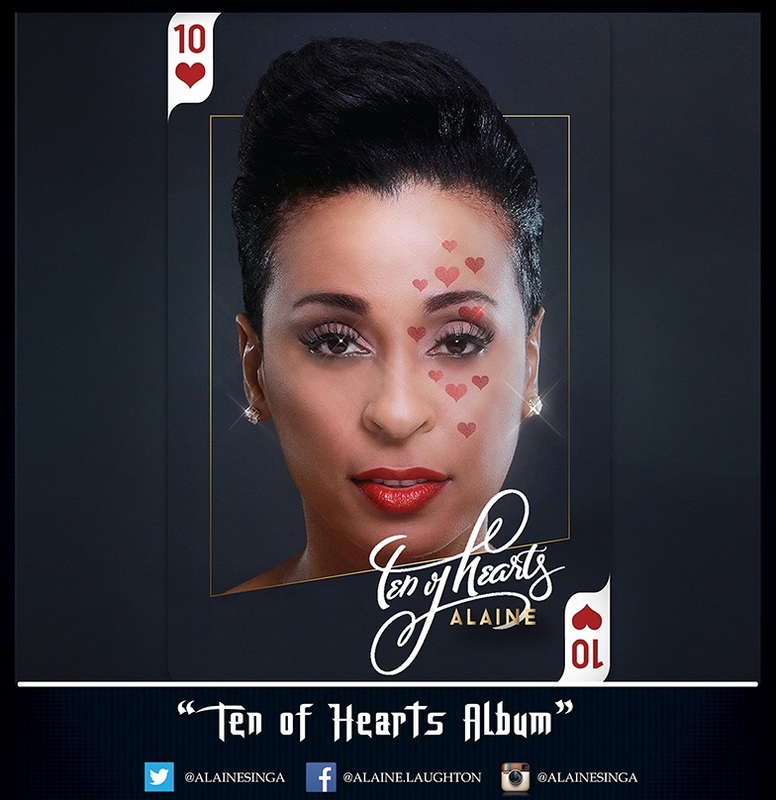 Alaine, the beautiful singer and songwriter known by just her first name, has released her highly anticipated album, Ten of Hearts, on Tuesday, May 26. Known for singles like Rise in Love, No Ordinary Love, Bye Bye Bye, Heavenly and Deeper, Alaine has now created a new set of unforgettable tracks for her musical catalogue. Her ability to connect with music lovers is very special. Alaine’s distinct vocals and indomitable spirit uplift the hearts of generations young and old. It’s significant that she named the album Ten of Hearts, where 10 represents completion and hearts represent the various forms of love she sings about. Ten of Hearts boasts tracks from top reggae producers Shane Brown, Jordan McClure and David Hale for Chimney Records, Andrew Myrie aka Anju Blaxx for UIM Records, Craig and David Harrisingh for Daseca Productions, Andre ‘DJ Frass’ Gordon, Tony Kelly and Dean Fraser. “I am really grateful for the contributions made by all the talented people who worked with me on this album. I’m really passionate about my music and they helped me get to a final product that I am in love with.” says Alaine. The album takes the listener on a journey through the twists and turns of love and life. ‘T.H.I.S.’ stands out with Alaine’s vocals soaring sweetly over piano accompaniment as she emotionally professes to her love, “Every single touch, every single kiss, can’t get enough of T.H.I.S.…Love” The reggae ballad, ‘Don’t Walk Away’ featuring J-Boog, explores the imperfections of real relationships. ‘Sidewalk Hotel’ and ‘Suzanna’ highlight the harsh realities of poverty, abuse and mental illness, while ‘Make it Home’ offers hope and a silver lining. Ten of Hearts represents a new beginning for Alaine.” ‘Favorite Boy’, produced by Chimney Records, will be the first single released from the album. “With this album I’m starting over and I’m really excited about it. Ten of Hearts is reggae flavored with sprinkles of soul, dancehall and R&B. People can expect a fun musical experience. I collaborated with some awesome artists and the producers I worked with are all so talented; everyone blessed the album with their vibes” Alaine says.